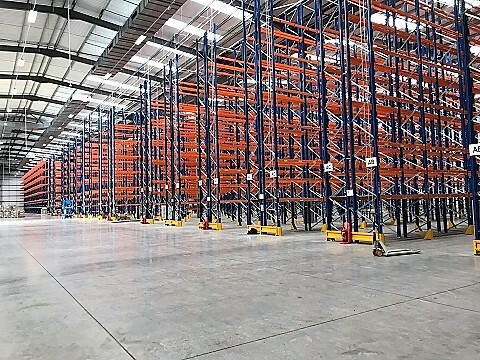 Warehouse Storage Solutions Ltd are one of the leading suppliers of pallet racking solutions to satisfied clients across the UK from our base in Yorkshire in the North of England. We have worked upon many projects for customers across West Yorkshire and Leeds including the new facilities for Samuel Grant packaging which can be seen in our client area of the website and also a time lapse video of the entire build. Effective Pallet Racking Solutions in Leeds at Warehouse storage Solutions Ltd? Warehouse Storage Solutions have been trading for many years and are proud to have worked with some of the best known companies, delivering cost effective pallet racking solutions to customers in Leeds and West Yorkshire for over ten years from our head office base in Harrogate North Yorkshire. We also offer an extensive range of shelving options as well as having the capacity to design and build Mezzanine Floor solutions, so if you are based in Leeds or West Yorkshire and need a trusted and professional supplier of pallet racking or storage solutions then call us today on 01423 819 057. If you are based in Leeds or in the wider Yorkshire area and are looking for pallet racking , our bespoke warehouse storage solutions such as push back pallet racking, double deep pallet racking, narrow aisle pallet racking, drive in or external pallet racking then you have found the right website. As all our services are bespoke in nature and we are able to provide bespoke storage solutions whatever your requirements, just fill out the enquiry form or better still call a member of the team on 01423 819 057 for an initial chat.